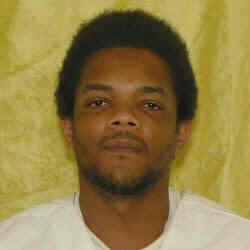 On this day in 2010, at 10:38 a.m., at the Southern Ohio Correctional Facility in Lucasville, convicted arsonist and quintuple murderer William L. Garner got the needle for the crimes he had committed eighteen years earlier. Garner had burglarized the Cincinnati, Ohio apartment of Addie F. Mack on January 26, 1992, after he stole her purse and keys while she was being treated in a hospital emergency room. After taking some electronics, Garner set three fires within the residence, although he knew there were children asleep inside it. Markeca Mason and Richard Gaines, both 11, Denitra Satterwhite, 12, Deondra Freeman, 10, and Mykkila Mason, 8, all died of smoke inhalation. Addie Mack’s oldest child, 13-year-old Rodriczus Mack, escaped through a window; he was the only survivor. Rodriczus, Denitra, Deondra and Mykkila were siblings, and Markeca was their cousin. Richard was a friend of Rodriczus who happened to be spending the night. Thanks to a tip from an observant taxi driver, Garner was arrested the next day and quickly confessed. He considered the children’s deaths to be “accidental” because he only set the fires to obliterate his fingerprints and he believed the children would smell the smoke and be able to get out in time. Unfortunately, the apartment’s smoke detector was inoperable. Garner was nineteen years old at the time of the murders. He had a criminal record dating back to age eleven, and following his January 1992 arrest he racked up thirteen behavior infractions in prison … including a fire-setting incident. A psychologist who interviewed him said he functioned at the level of a 14-year-old, and his IQ tested at 76, barely above the juridical cutoff mark for mental retardation. When asking for clemency, Garner’s attorneys cited these factors as well as his “extremely violent and dysfunctional” upbringing, and also argued that he was brain-damaged due to lead poisoning. Considerable weight was afforded the considerable mitigation presented. It is clear that Mr. Garner suffered developmentally and was raised in an exceptionally and horrendously abusive environment. However, we cannot conclude that the mitigating factors are significant enough to outweigh the aggravating circumstances of an offense resulting in the death of five innocent children. Garner was executed a month later, using Ohio’s recently-adopted “one-drug” lethal injection protocol (most states use, as Ohio had previously, a cocktail of three). It didn’t go smoothly. A Toledo Blade article provides a detailed account of his last moments. The prison had to open a second viewing room to fit all the people who came to watch him die.